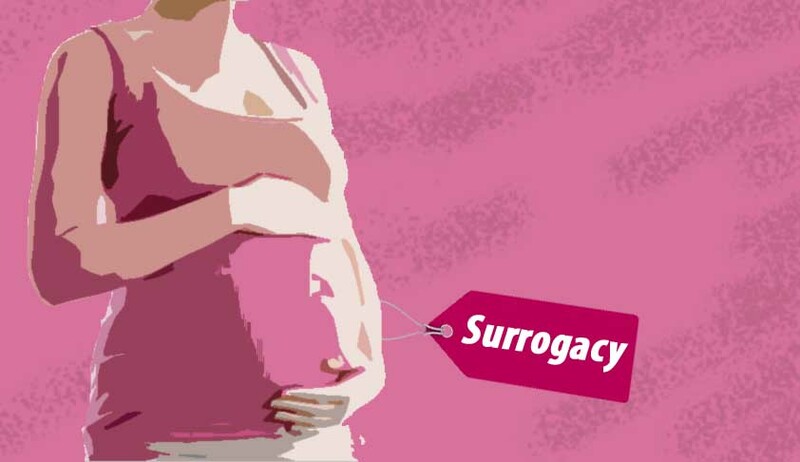 In an effort to safeguard the rights of the surrogate mother and regulate the commissioning of surrogacy, the Union Cabinet on last Wednesday cleared the draft Surrogacy (Regulation) Bill, 2016, to be introduced in the Parliament. Once in place, the Bill will impose a blanket ban on commercial surrogacy in India and instead only altruistic surrogacy would be permitted. Streamlining further, the Bill proposes that only legally married infertile Indian couple will be able to opt for surrogacy, thus labelling homosexuals, single parents and live-in couples ineligible. Different from the Assisted Reproductive Technology Bill, the Surrogacy (Regulation) Bill lays down that a legally married couple after five years of marriage can opt for surrogacy, provided that they have a medical document that declares them unfit to produce a child. Moreover, only a close relative with at least one healthy child can be the surrogate mother. This has been done to eliminate commercial exploitation of surrogates and promote adoption. Proposing strict regulation, the Bill suggests the establishment of a National Surrogacy Board and state surrogacy boards. Alongside, records of the child born through surrogacy will have to be maintained for 25 years, in case the child intends to go through it once he/she attains adulthood. In case of violation of law, the Bill also proposes strict punishment with imprisonment of not less than 10 years and a fine of Rs 10 lakh. Though framed with proper regulations, certain provisions of the Bill have come under the public scanner. Many have termed the systematic elimination of homosexuals, single parents and live-in couples from the surrogacy arrangement ‘archaic’. While being patronising towards women, the Bill is also not in consonance with the Constitution. By excluding people from the surrogacy arrangement on the basis of nationality, marital status, age and sexuality, the Bill seems to be at loggerheads with Article 14 of the Constitution that guarantees everybody “equality before the law and equal protection of the laws”. The Bill is also not in tandem with Article 21 of the Constitution as it interferes with the right of reproductive autonomy that is entailed in the right to personal liberty. The state cannot decide the mode of parenthood and “it is the prerogative of person(s) to have children born naturally or by surrogacy”. Being a signatory in the Universal Declaration of Human Rights, India is also violating Article 16 of the Declaration that guarantees men and women of full age the right to marry and found a family. “As per the Article, men and women can choose singlehood as their form of life but that should not curtail their right to have a family and raise a child. A single individual can also be a good parent and might want to have a child that is his/her own,” says Radhika Thapar Bahl, a Delhi-based lawyer specialising in reproductive laws. The Bill comes as a threat to the livelihood of many poor women, who have been able to educate their children, establish their business and financially support their families through surrogacy. Sabuka Begum is a surrogate mother for an Indian couple and has chosen to do this because of the financial troubles that surround her family. “My husband has been unemployed for three months now and even feeding my children had become difficult, let alone educate them,” she says. She looks forward to a promising future that she can have once the surrogacy process is over. “I will leave Delhi once this is over and will start some small business with the money I get. My primary focus will be to educate my children,” she says. “It seems like a perfect arrangement. I need the money and the couple needs a child. I also understand the pain of not having your own child. Why should they be barred from it, when medical procedures can help them with it,” she asks. The proposed Bill has also perturbed social groups with the fear that once the ban is in place, the practice of surrogacy might go underground. “Our biggest apprehension is that if the practice goes underground, tales of exploitation will increase and women will lose their bargaining power,” says Manasi Mishra, Head of Research and Knowledge Management Department, Centre for Social Research. “It needs to be understood that we are still evolving as a society. There are sections that believe in their blood lineage. In this view, the government propaganda to promote adoption instead of surrogacy will not work,” she says. “Instead of proposing a blanket ban, the Bill should put in place checks to control exploitation,” says Radhika Thapar Bahl. “Limit the number of times a woman can become a surrogate, limit the age and check medical fitness. The government should also look towards compensated surrogacy that covers all reasonable expenses, including medical expenses and also the loss of earning that the woman might incur if she happens to work somewhere,” she says. The Bill is a draft law and is not yet in the public domain. It will be introduced in the winter session of the Parliament. It is hoped that once the Bill is tabled, debated and deliberated upon, the government will reconsider the blanket ban on commercial surrogacy.